The development of the commercial UAVs industry is expected to accelerate in the years to come. 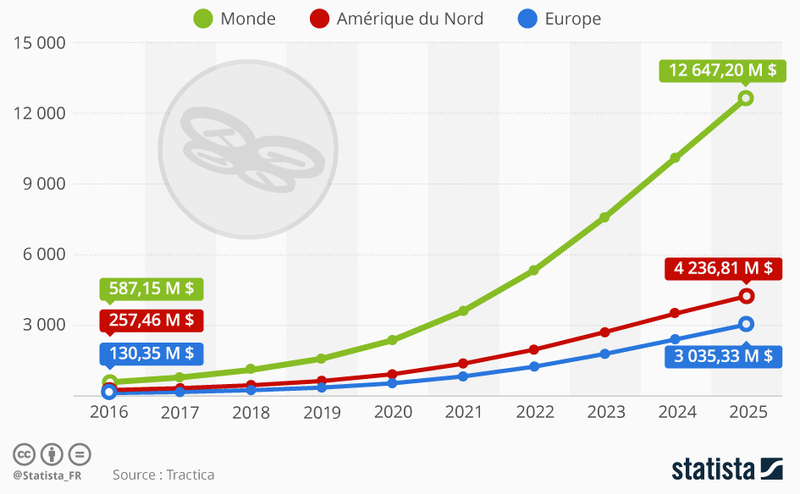 According to Tractica data, global revenues generated by commercial UAVs will even exceed 12 billion in 2025. In Europe, revenues of around 3 billion are expected. DPDgroup, an entity of the La Poste group, has delivered parcels with a UAV to technology incubators since December 19, 2016 on the site of the Center for Studies and Tests for Autonomous Models (CEEMA) in the VAR. This first commercial line of about fifteen kilometers is the result of two years of experiments and more than 700 hours of flight operated since June 2014 with the company Atechsys, specialized in civilian professional UAVs, which itself sits on this nursery. The Directorate General of Civil Aviation (DGAC) has authorized this commissioning. Based from the Pickup relay of the Post Office in Saint-Maximin, the connection is based on two terminals, at the departure and the arrival, to secure the loading and unloading of the packets. The route of the device is fully programmed with the GPS data and its route monitored by an operator approved by the DGAC. 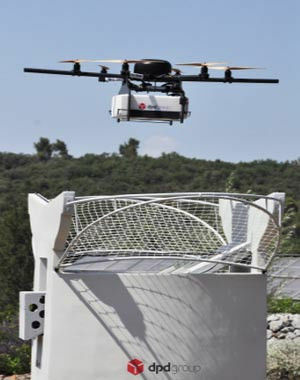 The UAV can carry Chronopost packages up to three kilos. Simplification of UAVs rules in USA. The United States of America launched a test program in 2017 to expand the use of UAVs for domestic and commercial purposes. Small gears can be deployed in many sectors such as trade, agriculture and rescue services. This program will therefore make it possible to deliver medicines and packages, to inspect inaccessible infrastructures or to provide rapid assistance in emergency operations. Night flights or overflight of populated areas could be allowed. 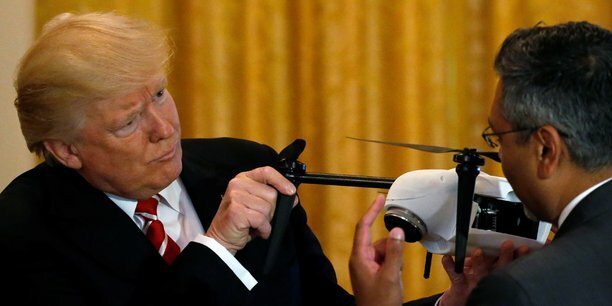 This is for the White House a manner to minimize rules to catch the future potential UAV market. Texts of this page are on the responsibility of their author only. Created January 2nd 2017, Updated February 13th 2018.